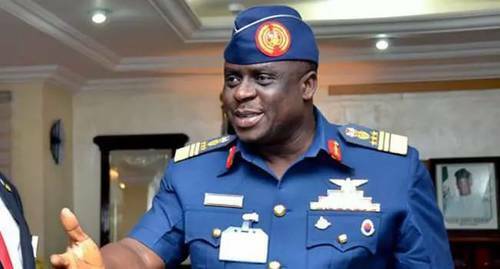 Former Chief of Air Staff, Air Marshal Adesola Amosu, has proposed a plea bargain with the Federal Government In his trial for allegedly converting of over N21 billion from government coffers. The Economic and Financial Crimes Commission (EFCC) had arraigned the former Air chief along with a former Nigeria Air Force (NAF) Director of Finance and Budget, Air Commodore Olugbenga Gbadebo and former NAF Chief of Accounts and Budgeting Air Vice Marshal Jacob Adigun. The commission said the three, on or about March 5, 2014 in Lagos, conspired to convert N21.4 billion from NAF accounts for personal use. Amosu had earlier held plea bargain talks with the EFCC, following his arraignment in June 2016, but the talks failed and trial started before Justice Idris. Defence counsel had on July 8, 2016, sought for time to conclude the out-of-court settlement, but it was learnt that the prosecution’s terms were stringent. Also in February last year, the defence counsel said they were ready to re-open the plea bargain talks but an agreement could not be reached, following which trial continued. The anti-graft agency had on January 16 obtained a court order forfeiting N2.2 billion recovered from Air Marshal Amosu. Also forfeited was N101 million recovered from Solomon Enterprises, a company linked to him. 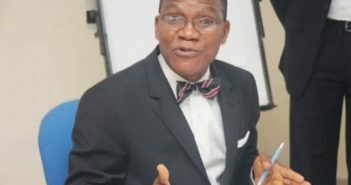 When the case was called on Tuesday, the defendants’ lawyers, Chief Bolaji Ayorinde (SAN), Norrison Quakers (SAN) and Wale Taiwo (SAN), urged the presiding judge to adjourn so they could explore the plea bargain option with the prosecution. Prosecuting counsel, Rotimi Oyedepo, said that though the EFCC has all its witnesses lined up, it welcomed the plea bargain proposal if the defendants were serious. He confirmed that the defendants wrote to the commission and that discussions were ongoing. Justice Aneke then adjourned until May 22 and 23.